Probably not turquoise, but jade, anyways I love my new dress from 2020AVE. So flowy and summery. And I got this cute and delicate wishbone necklace from Delilah dust, such a lovely store with loads of pretty jewelry, check it out! 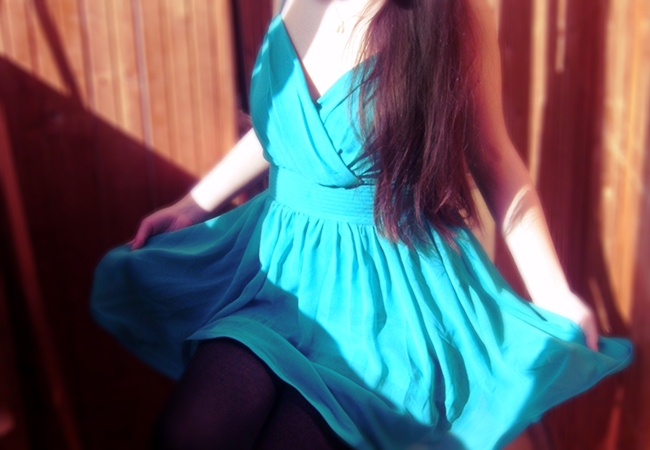 I love your dress, its perfect for Spring Summer wardrobe! You look great! I love your blog, it always inspires me! Thank you so much! That means a world to me! Oh thank you so much sweetie! Beautiful dress! I love this color on you - you look like a goddess! Fabulous headband too! Very lovely! love the photos and your blog! I love it. This is so cute ! This dress is so nice! And you're beautiful.